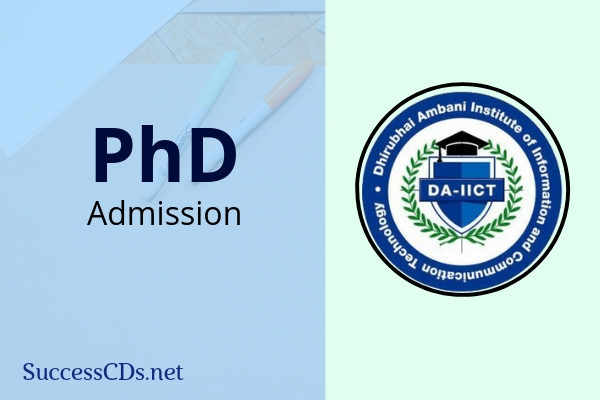 DAIICT PhD Admission 2019 - Dhirubhai Ambani Institute of Information and Communication Technology (DAIICT) Gandhinagar (Gujarat) have invites applications from bright scholars interested in pursuing the Doctoral Program in ICT and other allied domains for the academic session 2019-20. Candidates should have obtained at least 55% marks or equivalent as per the norms set by the Degree awarding Institute/University. M Phil Degree holders will be preferred.